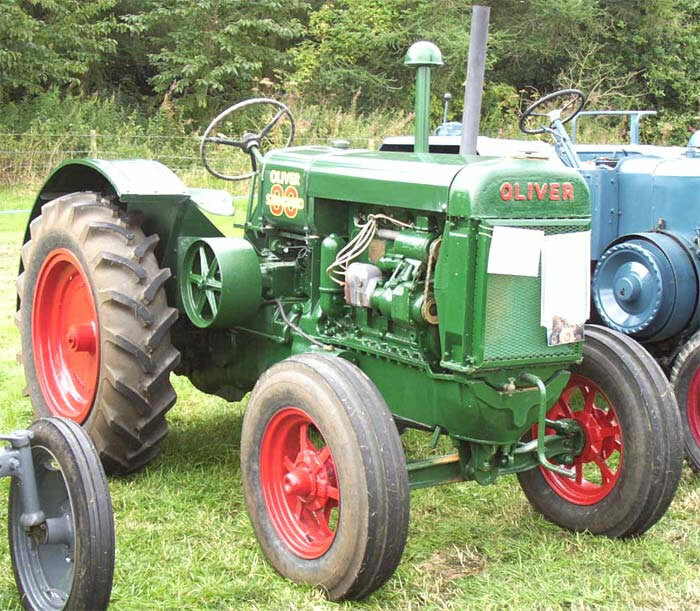 The Oliver 90 Tractor was in it's time without doubt one of the very best of American tractors. It first appeared in 1937 and remained in production until 1953 when it was replaced by the technically similar Model 99 which was produced to 1957. Power for the Oliver 90 was provided by an advanced four cylinder overhead valve 443 cu in. petrol, kerosene or distillate engine. It was claimed that the Oliver 80 was able to replace a 16 mule team and pull a four furrow plough. While the Model 90 never adopted the streamlined styling so popular at the time it did have advanced features, such as an electric starter, steel cylinder liners and an adjustable governor.